Hi friends! I hope you're doing well! We are ok. This last week was super busy. I'm hoping not to have a week like that for a while. I just overcommitted and that's ok. Live and learn. 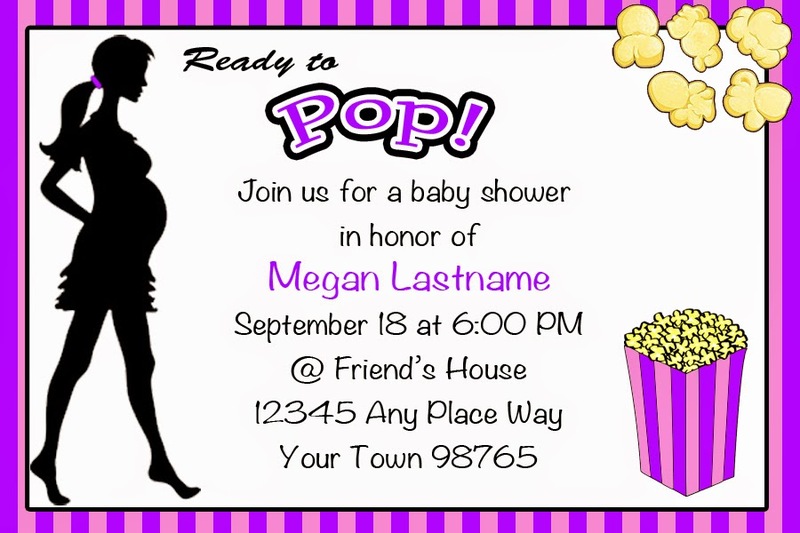 This is the invite that Dustin pretty much made on his own. I gave him an idea of what I wanted and he makes it happen. This is the sign I made for the front door. 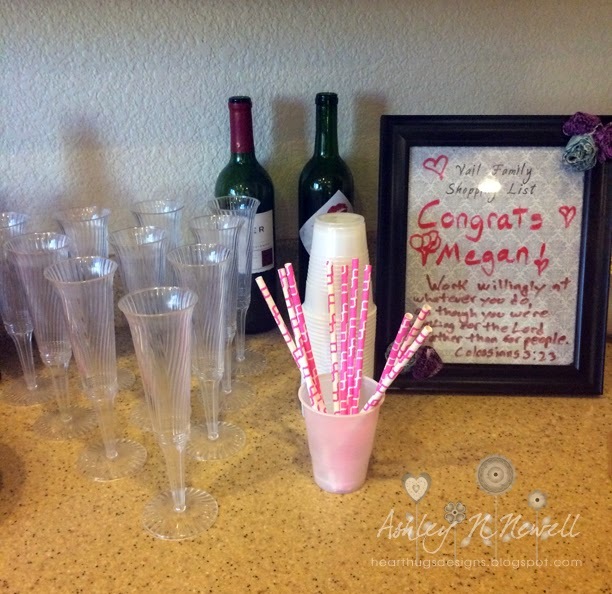 Here are all the elements of the party favors. 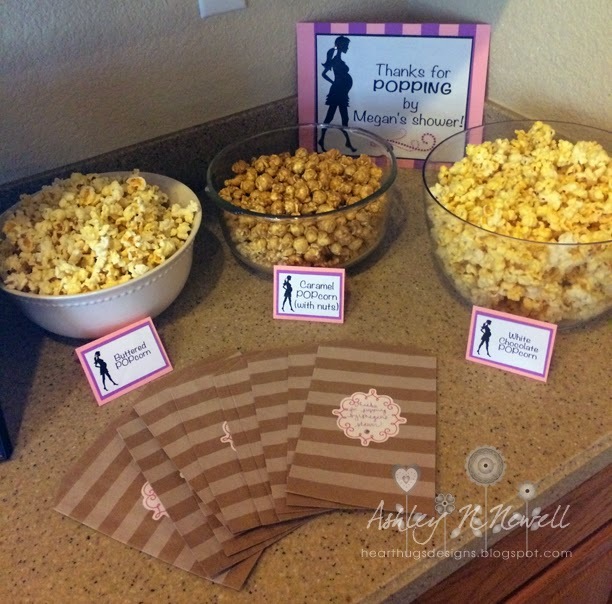 I made a sign, decorated some favor bags, and had 3 different kinds of popcorn. 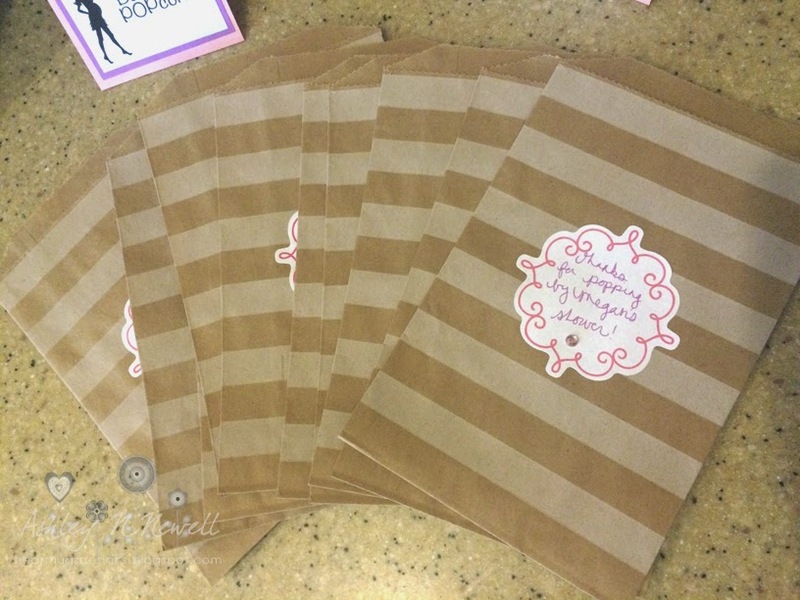 The favor bags are Whisker Graphics White Horizontal Stripe Middy Bitty Bags with Scrolly Square Sweet Sticky Labels in Pink on top. 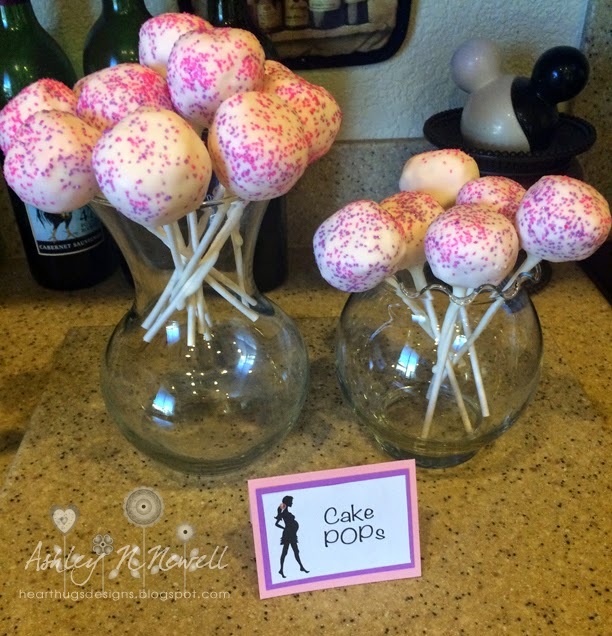 Here are the drinks and some little "POP" themed treats. And here's the banner I made with some Spellbinders rectangles and circles. The letters were cut for me by my friend Elly on her Silhouette. The onesies are a die from Taylored Expressions. I added a few little rhinestones to the onesies to dress them up. 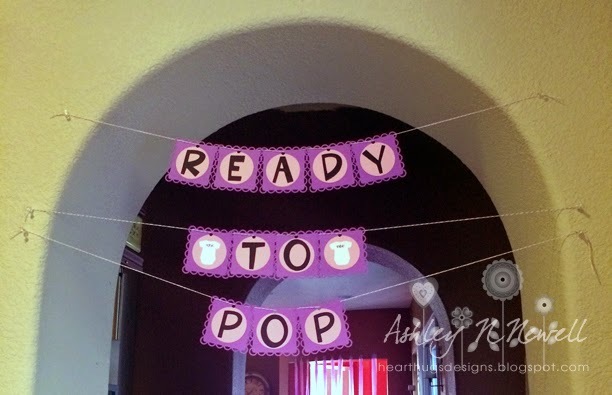 The banner was strung together by my friend Cynthia using Cotton Candy Divine Twine and Purple Plum Divine Twine to match the party colors. We also had balloons and streamers for decorations and some great games! 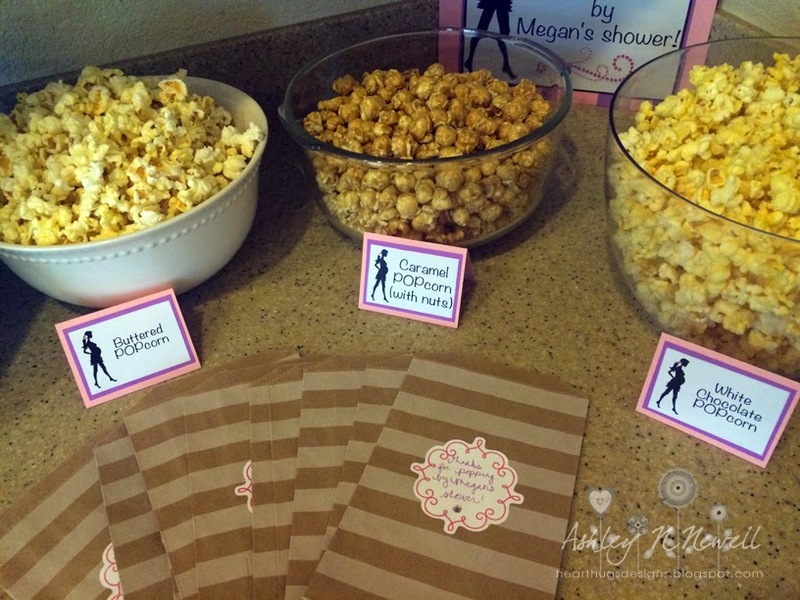 It was such a fun shower and I'm so glad that people seemed to have a really great time. Have a great day, friends! How cute! I am loving all the pop themed snacks, great job!